The reputable 00100 pizza a taglio store has revamped its space with a menu overhaul. 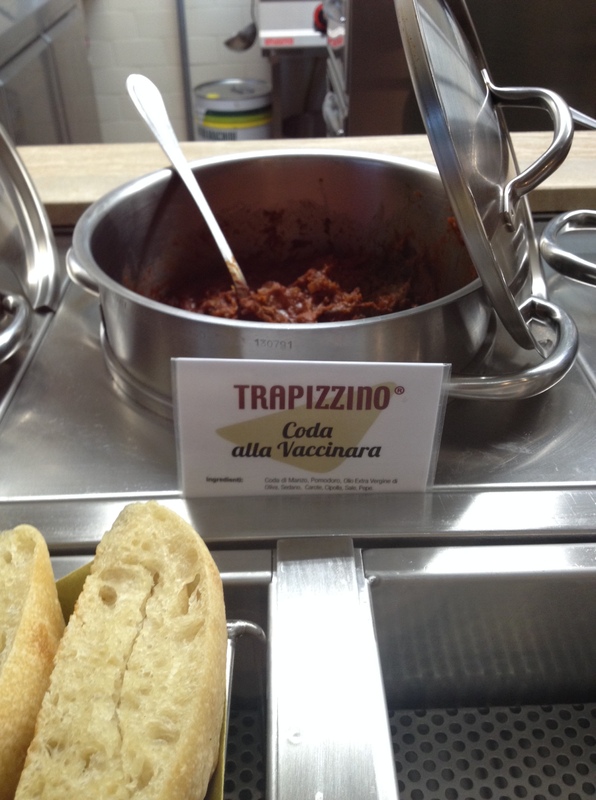 The new food outlet is now known as Trapizzino. We were initially disappointed with that the management decided to take pizzas off their list. However we were eventually persuaded by their 'cause' when our teeth sank into those much-talked-about focaccia pockets that come with a wide variety of typical roman dishes. 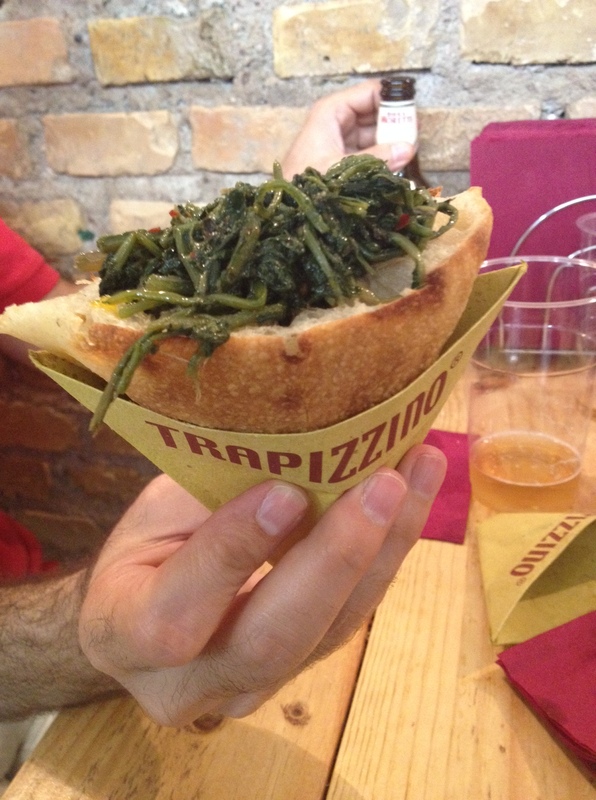 Trapizzino, which was also served at 00100, is now the sole focus for Stefano Callegari. 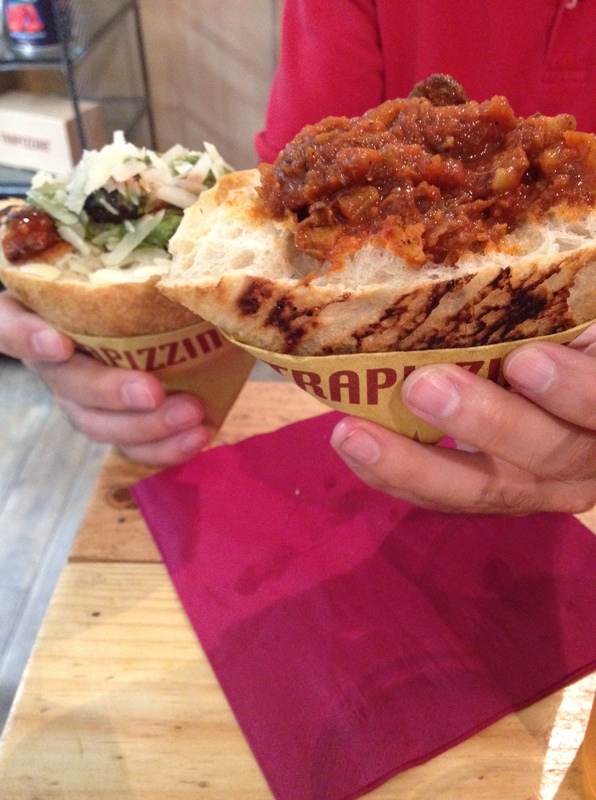 This hearty street food dish is claimed to have been 'created' by pizza maverick Mr. Callegari. Apart from trapizzinos, there are also a good selection of suppli (fried rice balls) for those who crave for something fried ala roman style (Try the asparagus with pecorino cheese). We have tried the focaccia pockets filled with parmigiana (egg plant with parmessan), ox tail meat in tomato sauce, and mixed roman greens with chilli (chicory, broccoli, and borage). 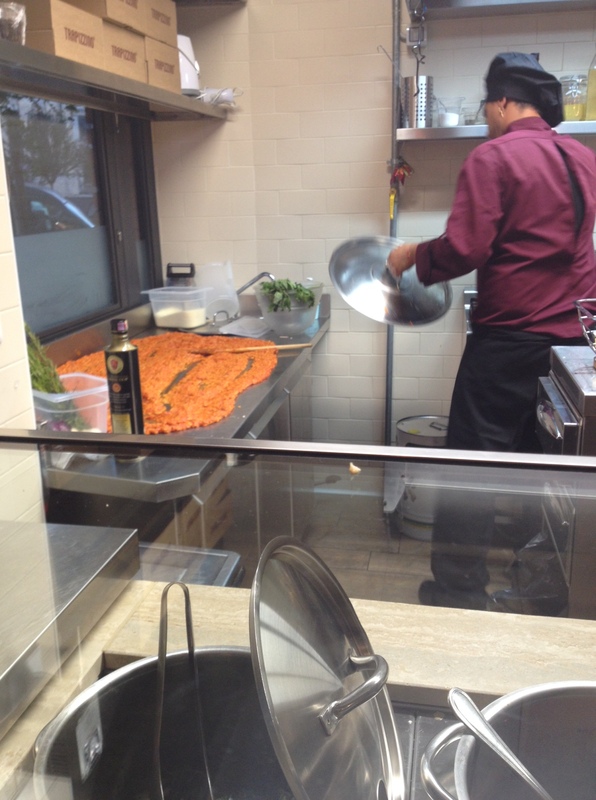 This is an excellent stopover for an afternoon or late midnight snack. These pocket sandwiches are easy on your pockets too!